A late win at MK Dons, the first we managed this year, seemed a long time ago as a second successive defeat was suffered at Southend on Saturday, this 3-1 loss at Roots Hall against Chris Powell’s in-form Shrimpers saw further ground lost on the top-six. 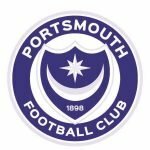 It sounded rough on the radio, it sounded dire and in the end, it sounds like Pompey got what they deserved. If I sound negative, it isn`t because I don`t love the team, but because I see and hear our fans getting short-changed watching this team. Blue Exile foresaw the carnage of Roots Hall, while Dasha didn`t think it would be as bad as that. Apart from that, no one thought that Southend would harm our fragile defence. Blue Exile jumped into the chasing pack, but there was no change at the top as the two father-daughter duets remain in the top four spots. Anyone can enter at any time remember. Just because you missed out on predicting for the game against Shrimpers it’s by no means too late so join in now, for the first time perhaps in the next League One game. This comes at Highbury against Fleetwood tomorrow evening.